In damp qualifying, Anthony qualified the Ligier JS49 in 7th place, despite only getting one clear lap when conditions were at their best due to an alternator problem forcing them to spend much of the session in the pitlane. 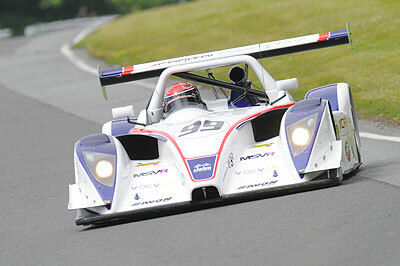 Anthony took the opening stint of the four hour endurance event, slotting in 6th place behind Ivor McCullough's Ligier on the opening laps. 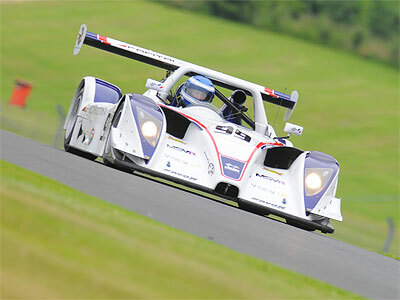 He ran closely with McCullough and the Pilbeam of Charlie Hollings for much of the first part of the race and the trio fought their way through backmarkers until the first series of pitstops. Gates took over the car and after some good pitwork from the Chevron Racing crew, he rejoined in a strong 3rd place and was keeping pace with the leaders. However, shortly after the 2 hour mark he was caught out by oversteer at Old Hall corner & crashed heavily into the tyres, wrecking the front end of the car & putting them out of the race. "We struggled in pace a little this weekend and although I initially couldn't match the speed of the top 4, we were strong as a driver pairing and could have won." said Anthony. "It's a shame, and it really was a mistake from Barry but it's still only his 2nd year of racing and he'll learn sooner or later than not everything on a racing car is made of rubber...". 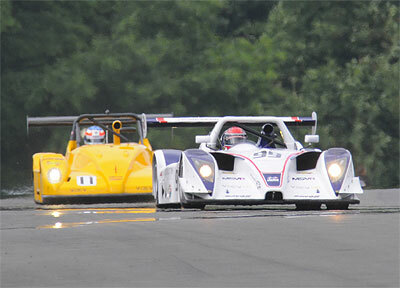 The race was won by Bryce Wilson and Ally McKever in their Ligier JS49, despite having gear selection problems.